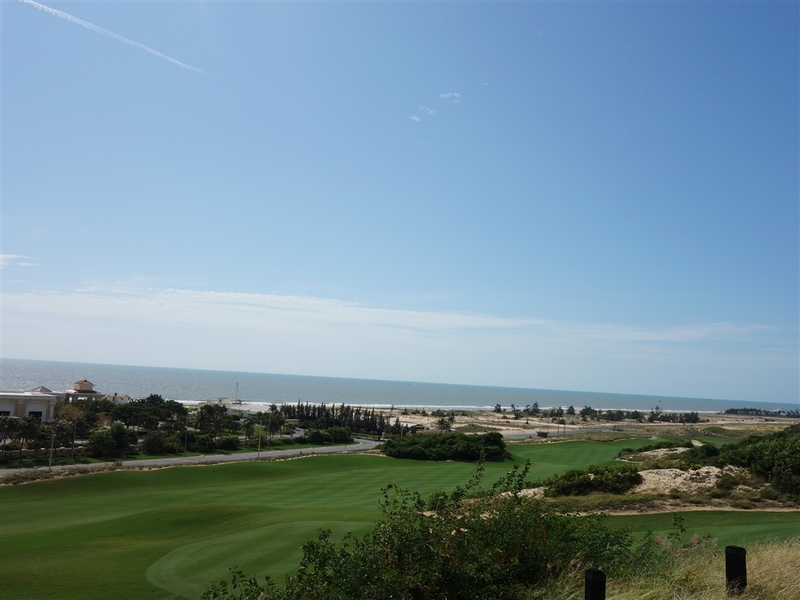 The Bluffs Ho Tram Strip Golf Club’s seaside links course is an extremely well built and is designed to be routed over and around impressive seaside sand dunes. 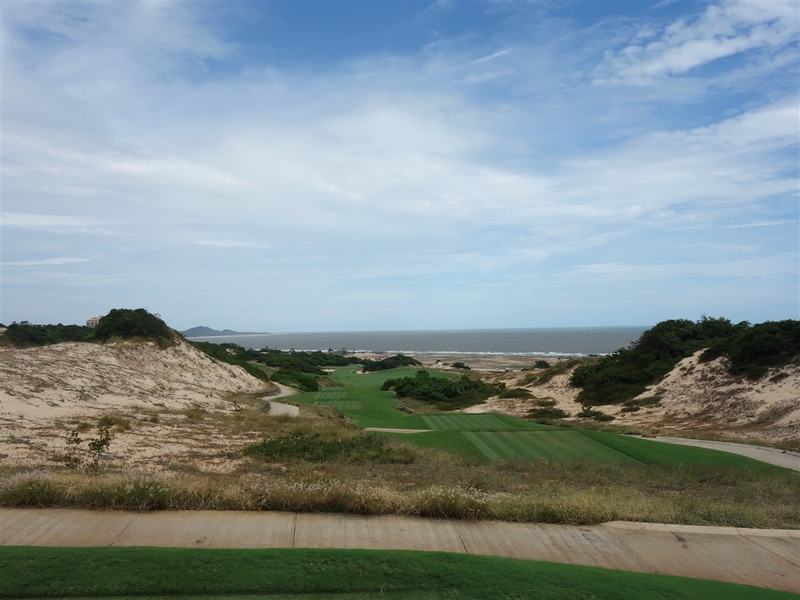 There are moderate differences in height throughout the course and since there are no roughs beyond the fairway, the balls will land directly inside the dune instead. 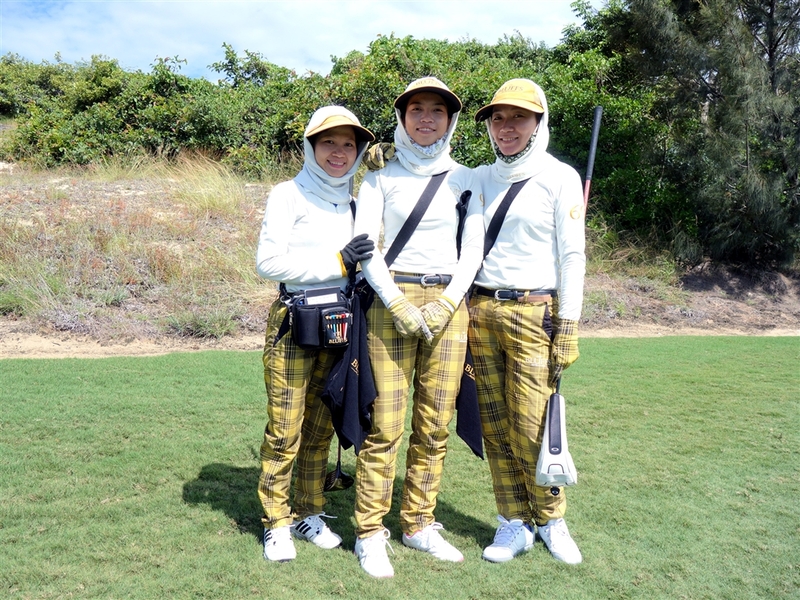 The course offer you wide verities of holes, up & downhill, which make you use all the clubs in your bag. 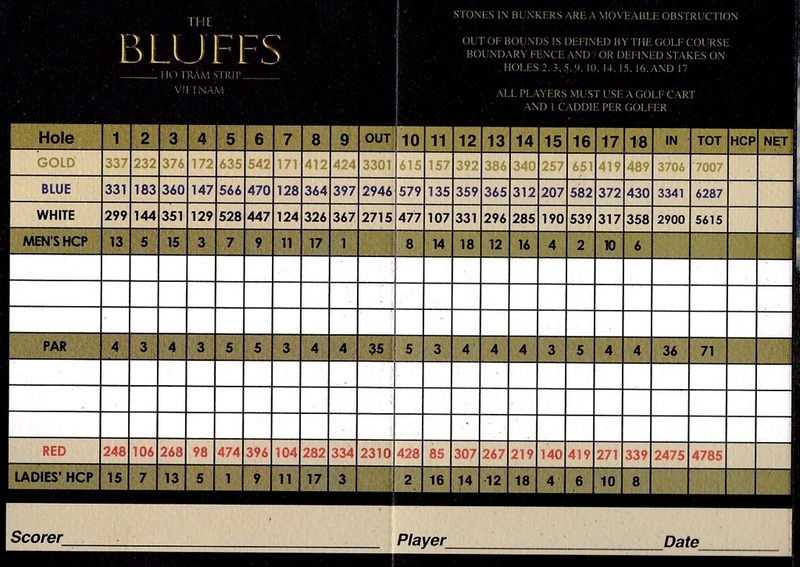 The par 3s are especially superb. 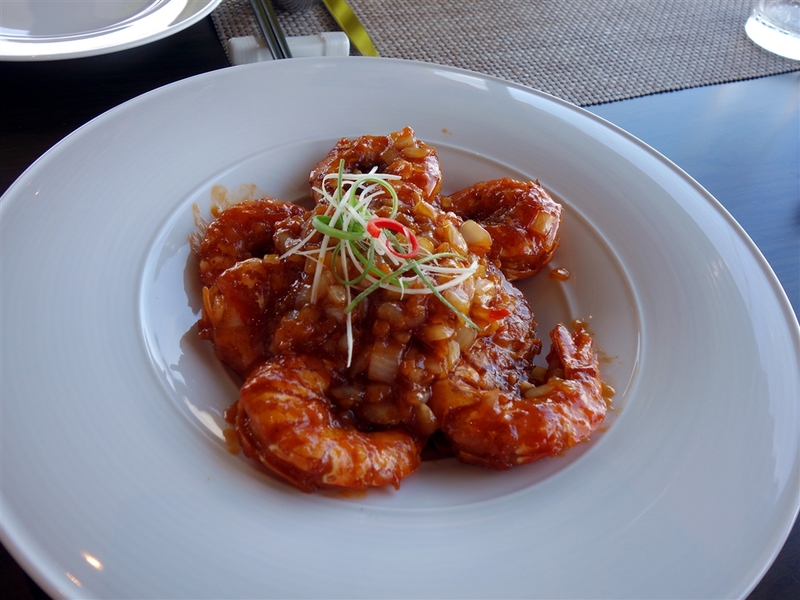 They are five in total and mixed with long and short, all of which have distinctive layouts. The Grees and fairways condtions are very nice. 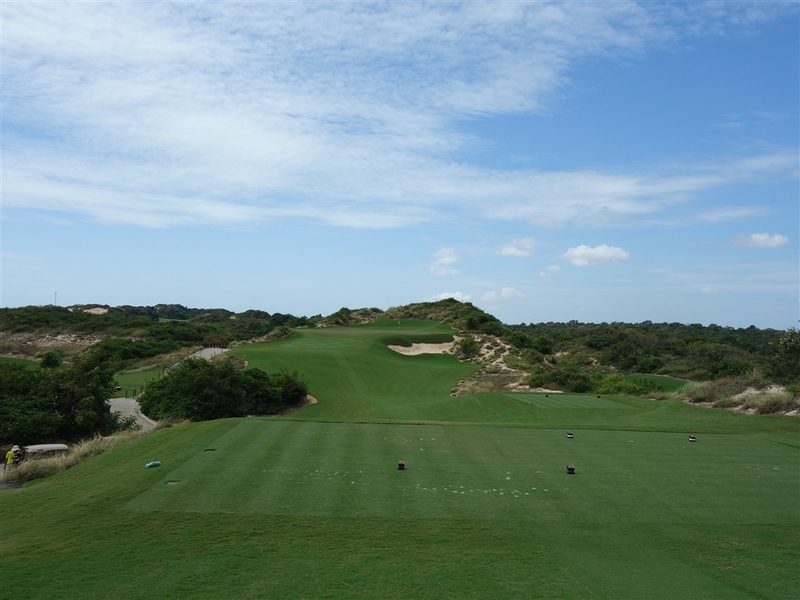 The second hole is a long downhill par three. On the tee shot you should watch out for both the O.B. 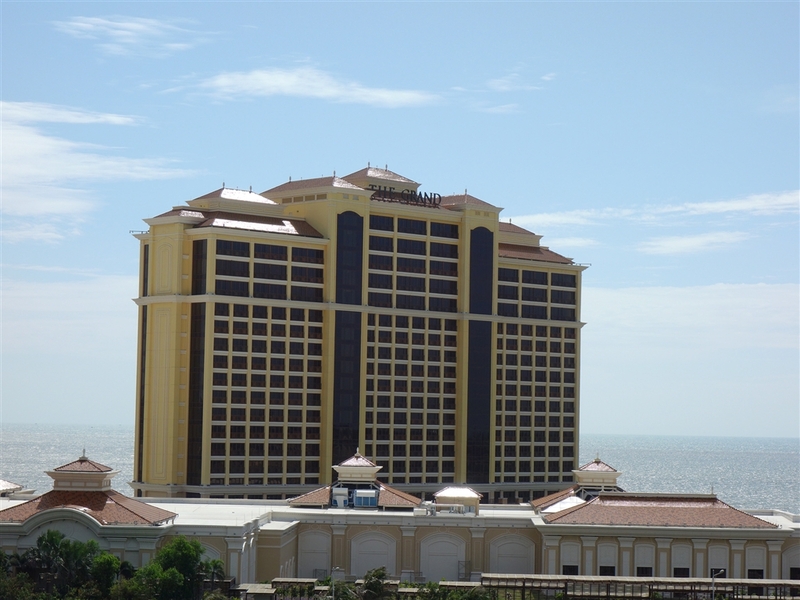 line on the left and a pond on the right. There is a bunker that lies right behind the shallow and elevated green. 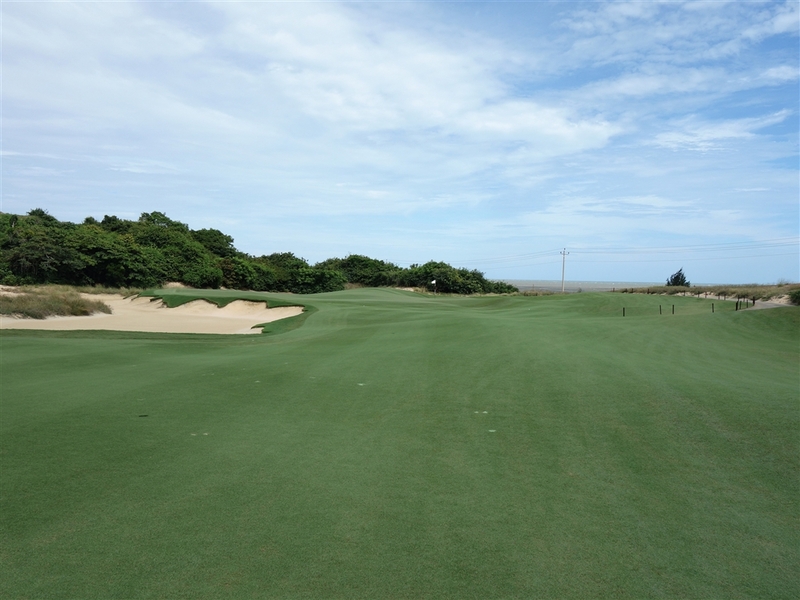 When you hits short of the green, they may find themselves in one of the three bunkers guarding the front sides of the green, and then your bunker shots will be about 20 yards over a steep slope. All of these factors will make accuracy an essential factor off the tee. This par four is a relatively straight hole. 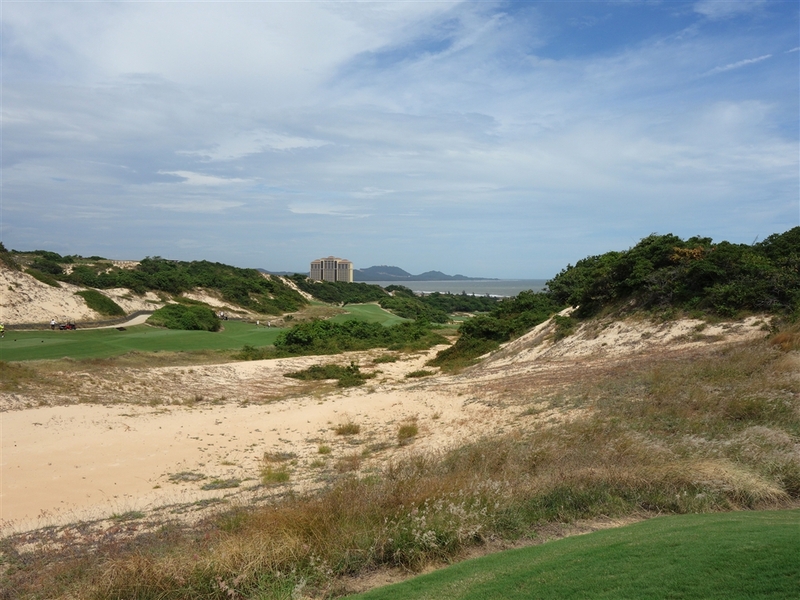 The left side of the hole consists of a dune that protrudes into the distance. 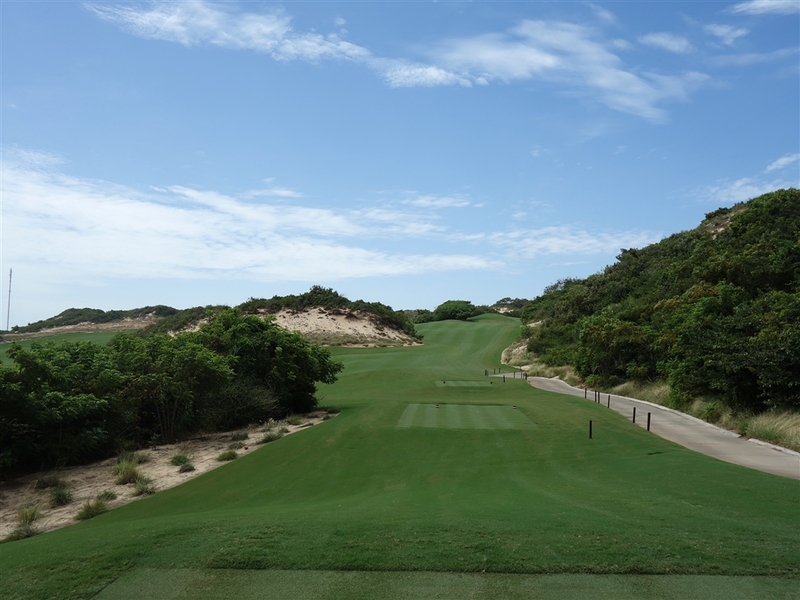 The fairway becomes narrower as the ball flies toward the green, making accuracy an important factor to ensure a two-on par four. 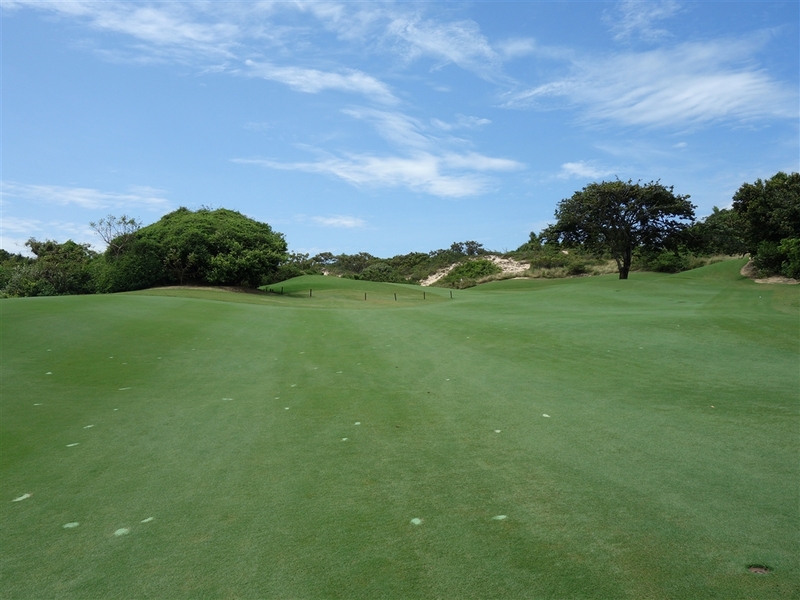 Players should scout carefully on the second shot since a hazard on the left and a bunker on the right surrounds the green. 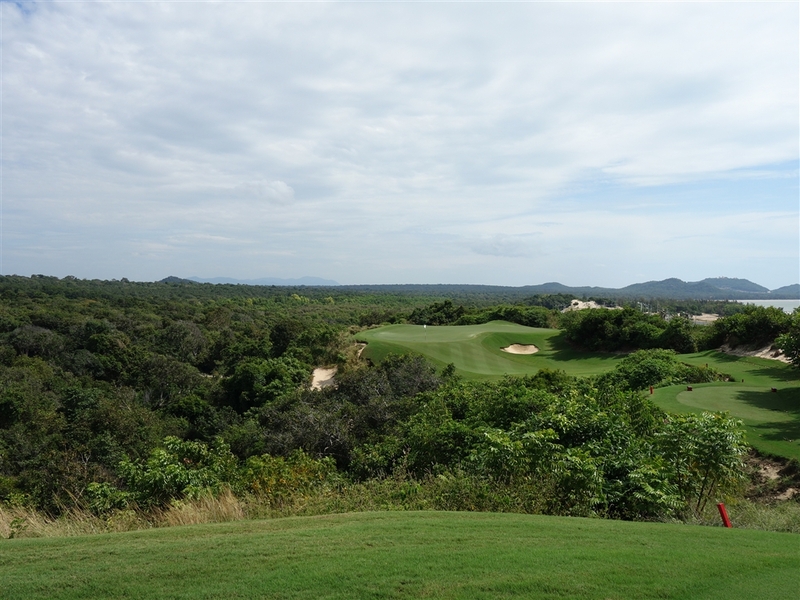 The fourth hole is a downhill and charming par three. 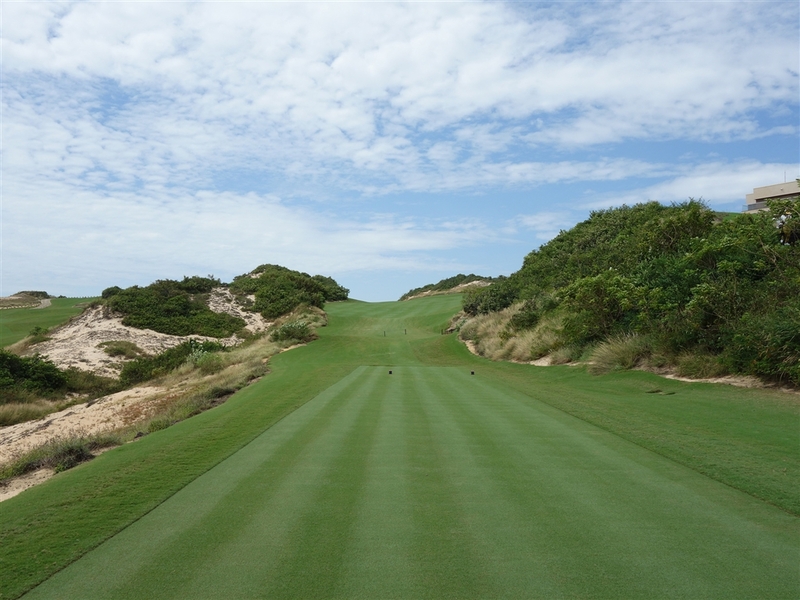 A cliff and several bushes run alongside the green, starting from the green’s front, all the way to its back left side. When you decide safely to hit towards the right side of the green, the strategically placed bunker on the right will come into play. 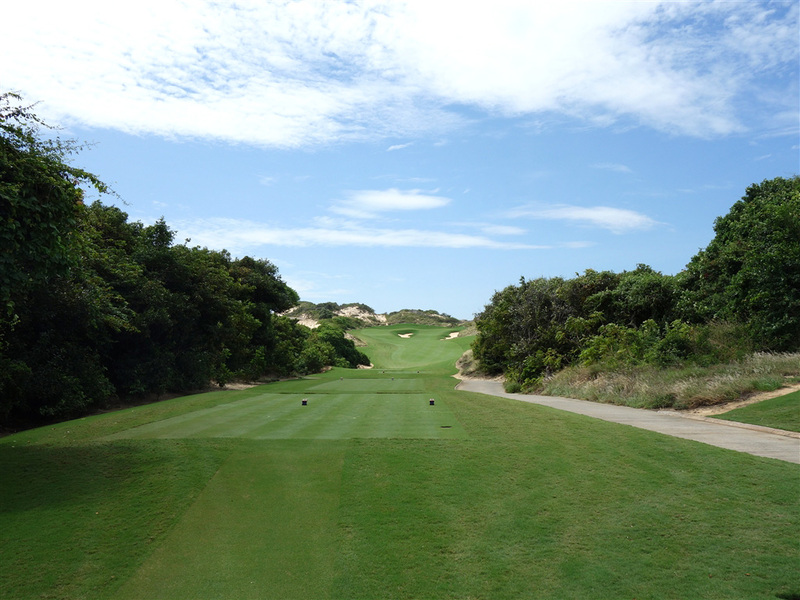 This seventh hole is another downhill par 3, however this time a little shorter. Players should try their best to avoid the deep bunker that guards the green’s right side. 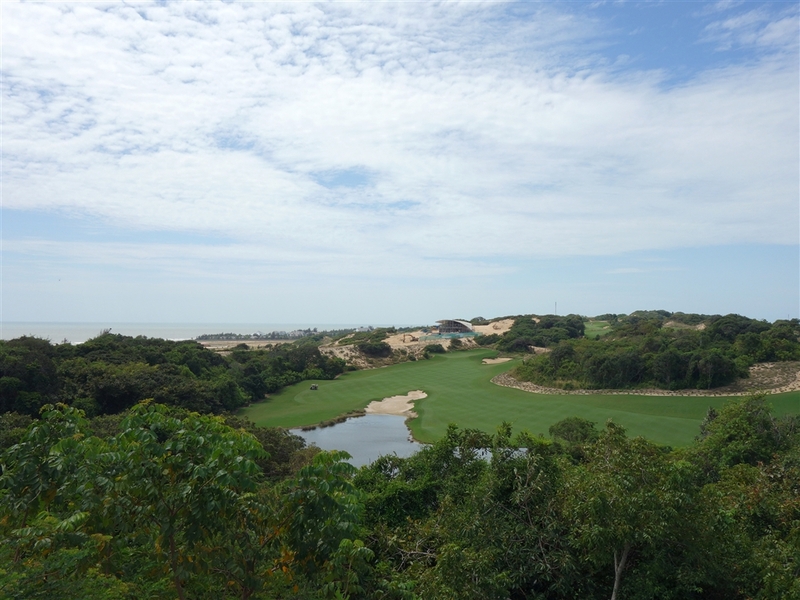 This par 4 is a relatively straight hole with splendid, downhill tee shots that will require players to hit their balls over a lake, and to avoid a landing on the beach bunker. 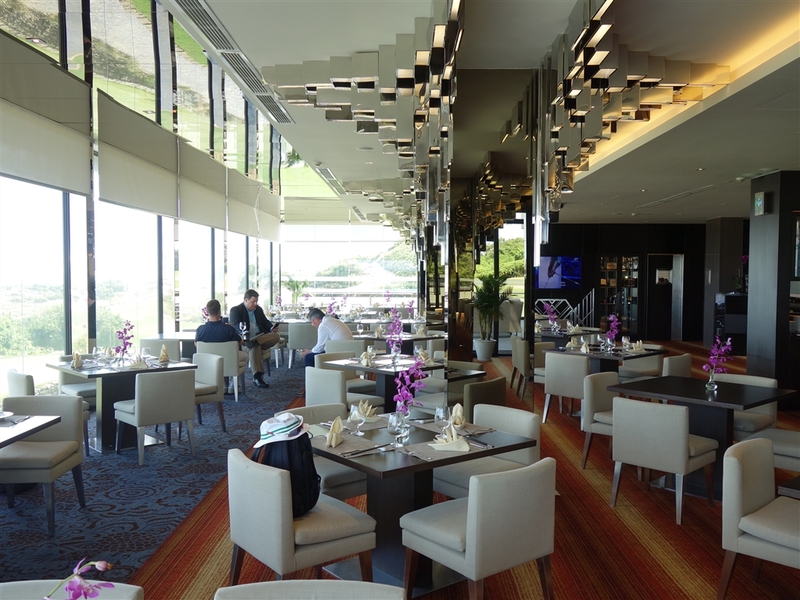 There are two fairways on the left & the right before reaching the elevated green. 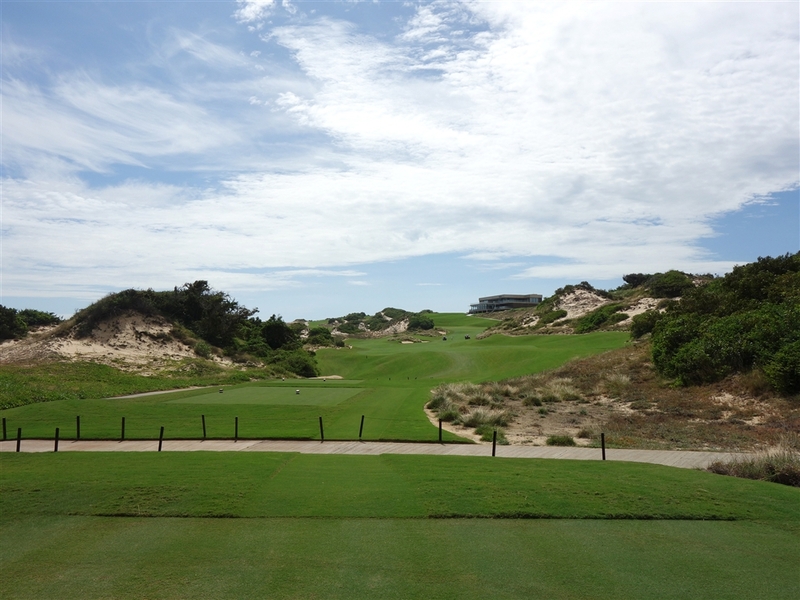 The tenth hole is a demanding hole with a dogleg that bends to the left. 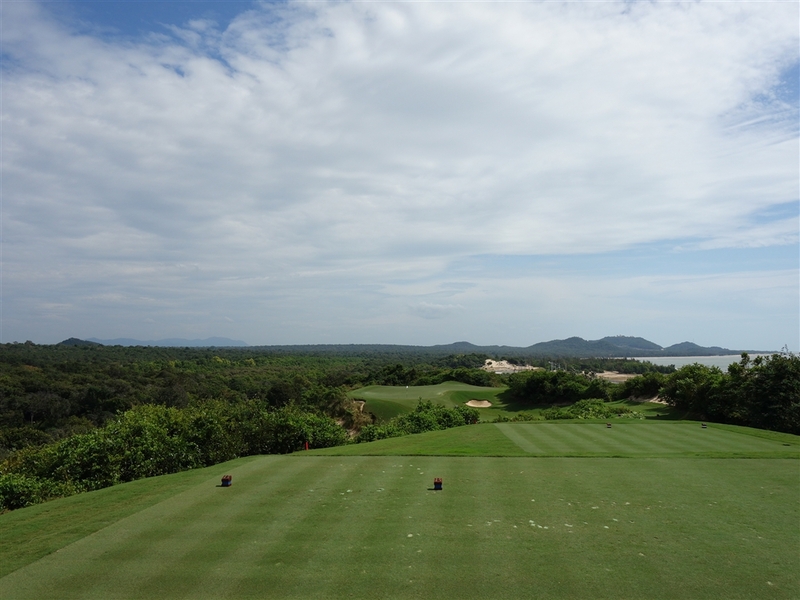 The hole starts off with an uphill tee shoｔ。The second shot which has a narrow landing area. 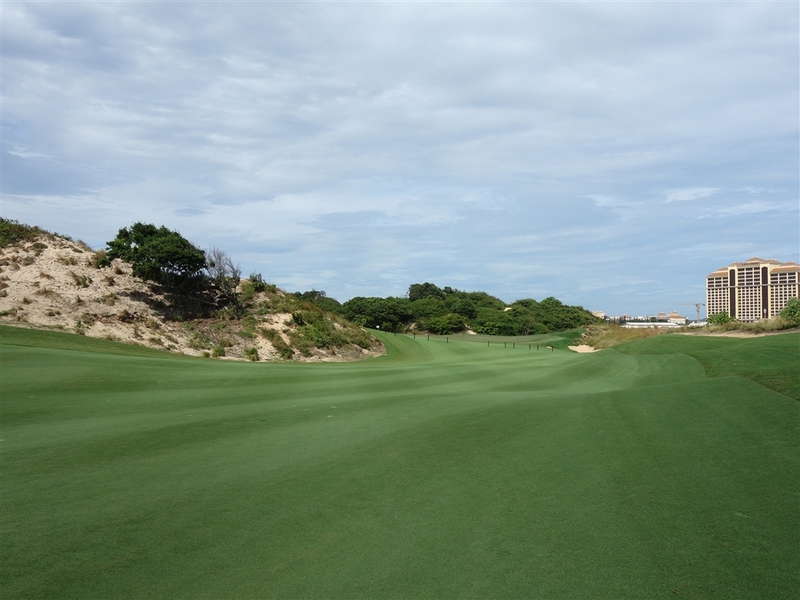 There is a dune that guards the front right side of the green, and a deep bunker that guards its left. 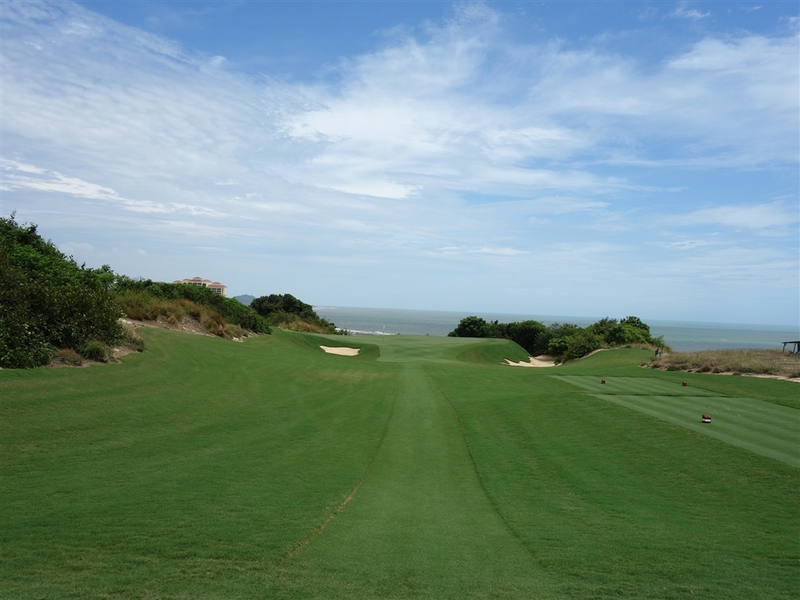 Though this par 3 is a short in distance, its beautiful ocean view that lies beyond the green is spectacular. 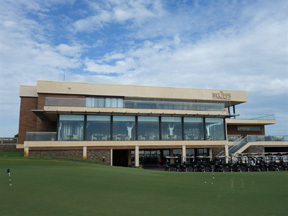 The green itself is guarded by a bunker on its front left, and its right. 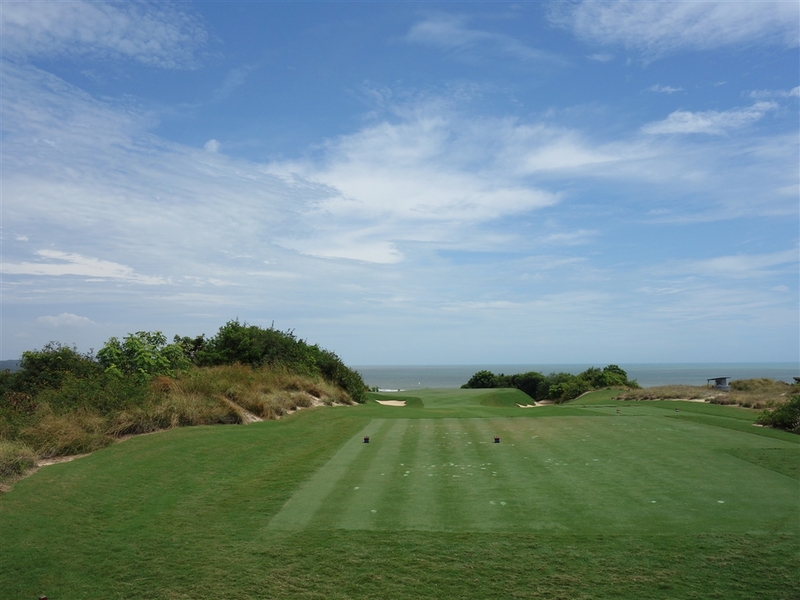 This par 4 consists of an uphill tee shot with a slight dogleg that bends to the right. 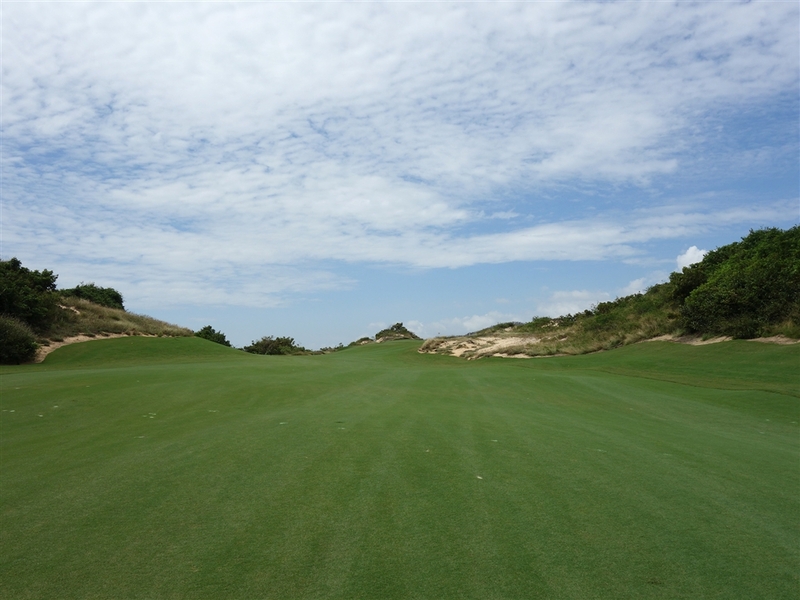 There is a dune that protrudes all along the right side, making it difficult to aim accurately off the tee. The green itself slopes from from back to front. 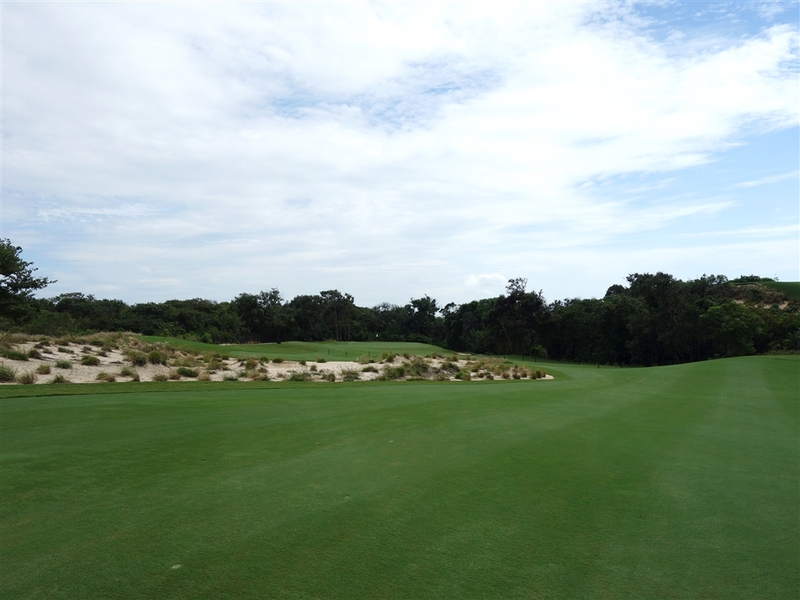 The 14th hole is a short par 4 that has a relatively straight design. 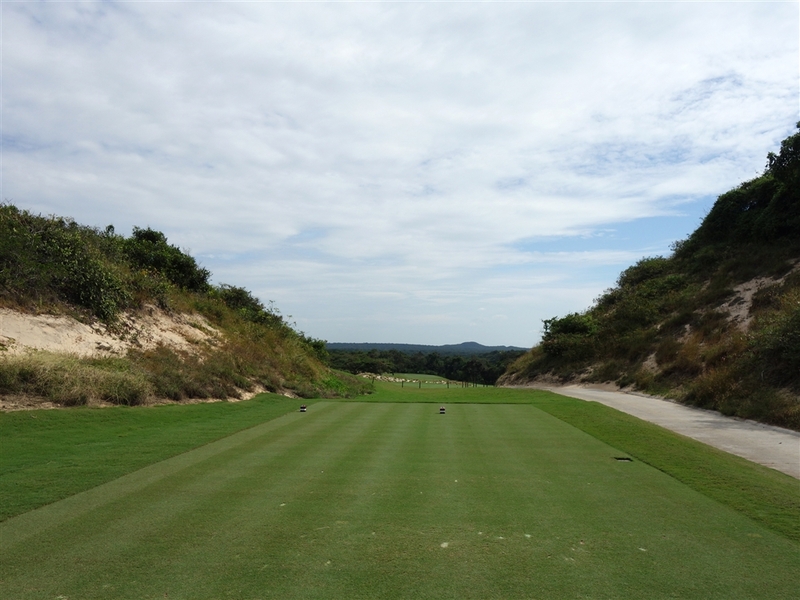 The second shot will require the ball to be hit over a steep uphill, and land on the green safely. This is easier said than done, as there are two deep bunkers that guard the green’s front. 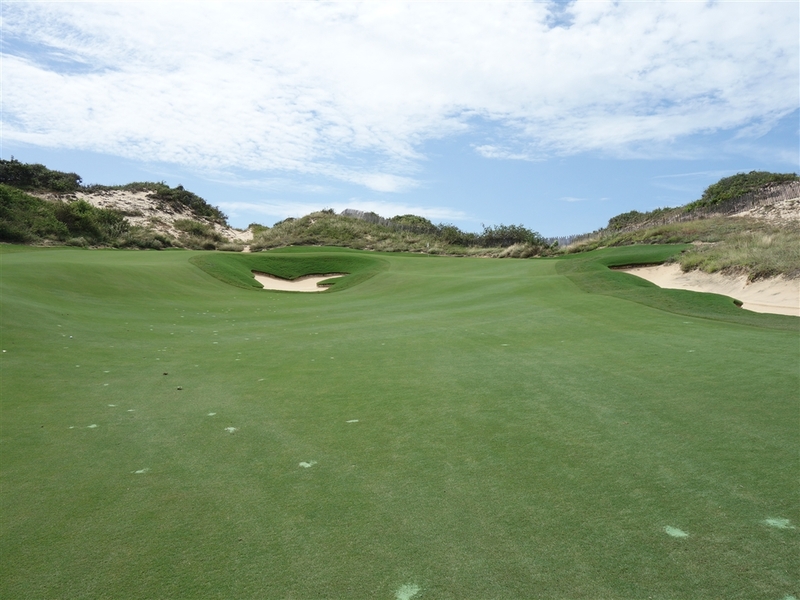 Furthermore, the green itself is surrounded by the dune in all directions making accuracy a vital factor in keeping a good score. 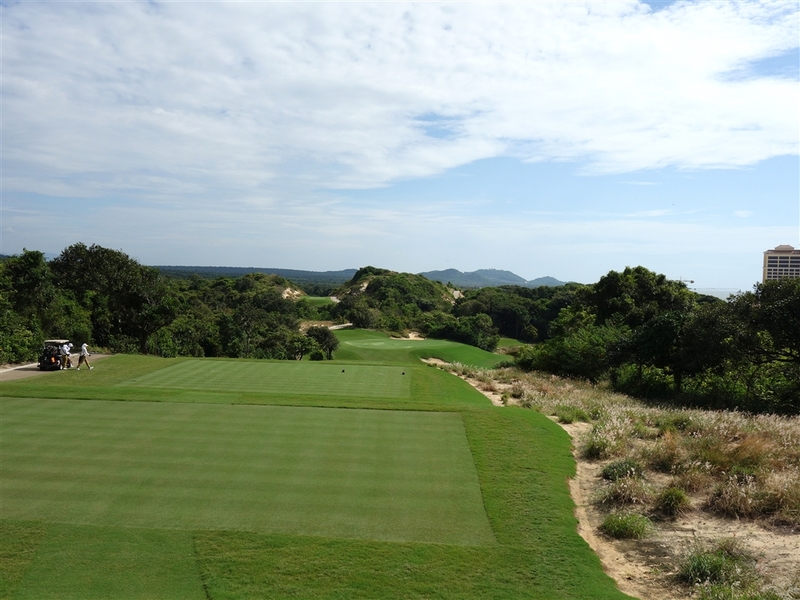 This par 5 is a long hole that consists of an S-shaped curve. Both the teeand the second shoｓt are downhill. 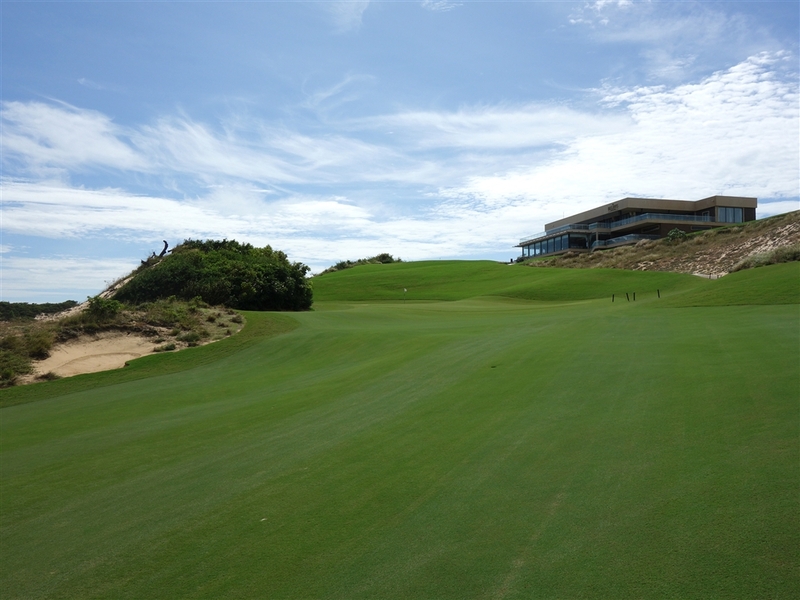 A humongous bunker surrounds the entire left section of the tightly undulated green. 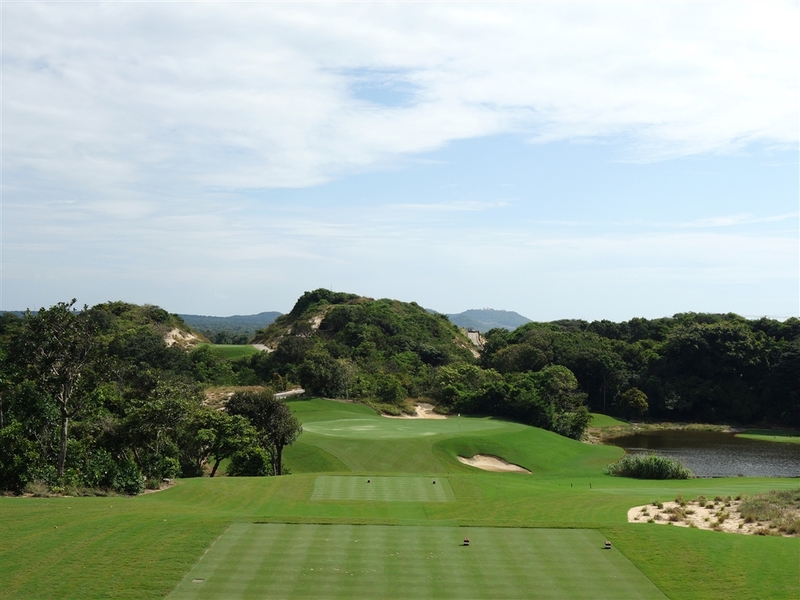 The eighteenth hole is a dogleg to the　right, very difficult par 4. 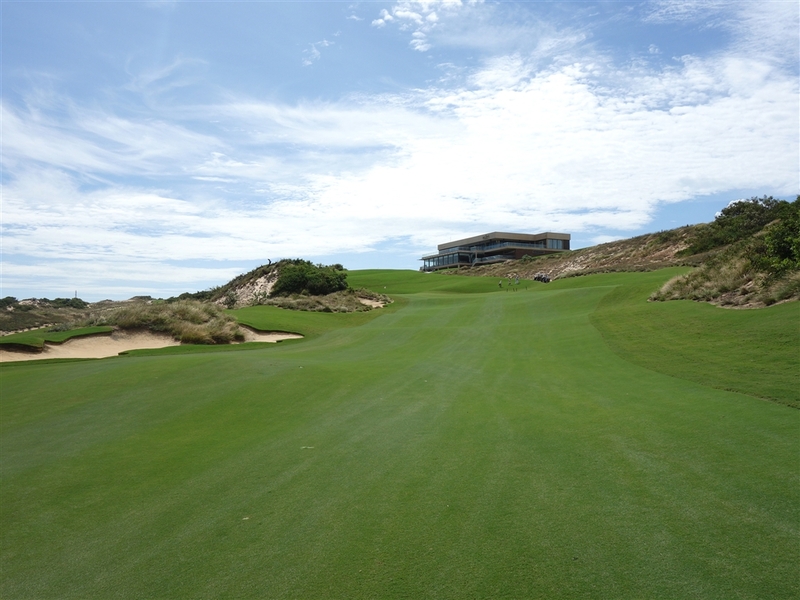 The dunes and the fairway bunkers on the right come into play off the tee. 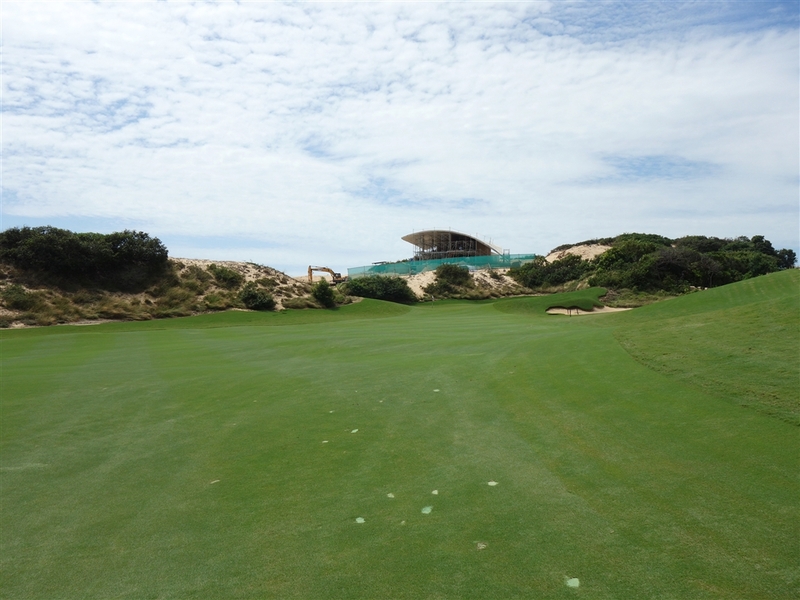 The double - tiered green is 50 yards long with the dunes on the left. 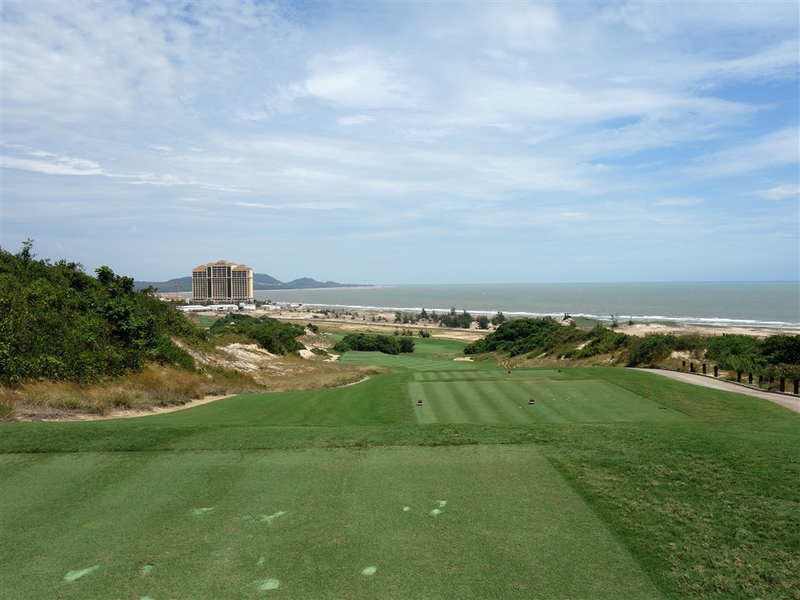 Another course designed by Greg Norman in Vietnam is Danang GC.